This images in this gallery are all from 35mm negative film. Film is just more rewarding to shoot than digital, it's more challenging and getting good results with film is much more satisfying to me. I develop almost all of my own film. This gives me quite a bit more control over the final look of the image and adds another level of challenge and fun to the process. If you really want to experience the fun of photography go buy an old film camera start shooting. Here is a list of my favorite 35mm film to help you get started. The Sky Soldier's UH-1H Huey. 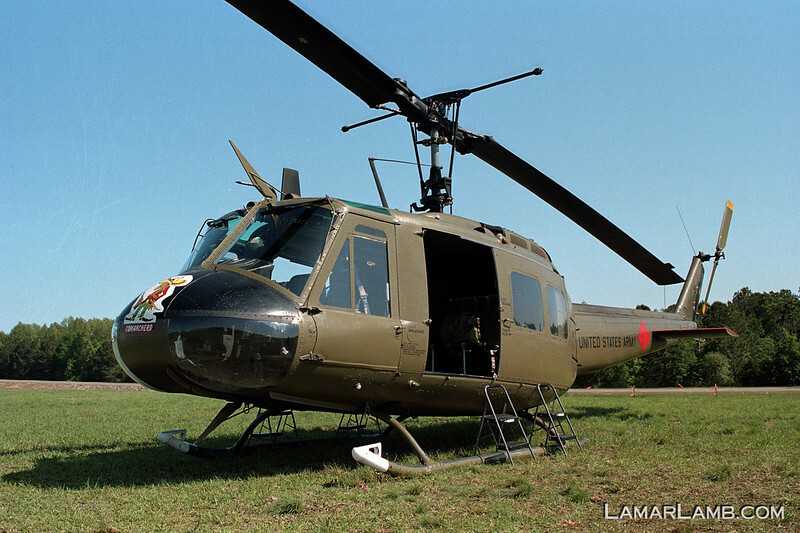 It served in Vietnam in 1971 with the 101st Airborne Division "The Comancheros". Battle damage repair work is visible adding character to this war veteran. - 2013 Vidalia Airshow - Camera: Nikon F2 Photomic; Lens: 35mm f/1.4 Nikkor-N Auto; Film: Kodak Portra 160; Scanned with Nikon CoolScan V-ED using VueScan 9.2.09 software.